Have you ever seen one of these in person? Or, I guess, have you ever heard one? They’re loud. And it is intoxicating. 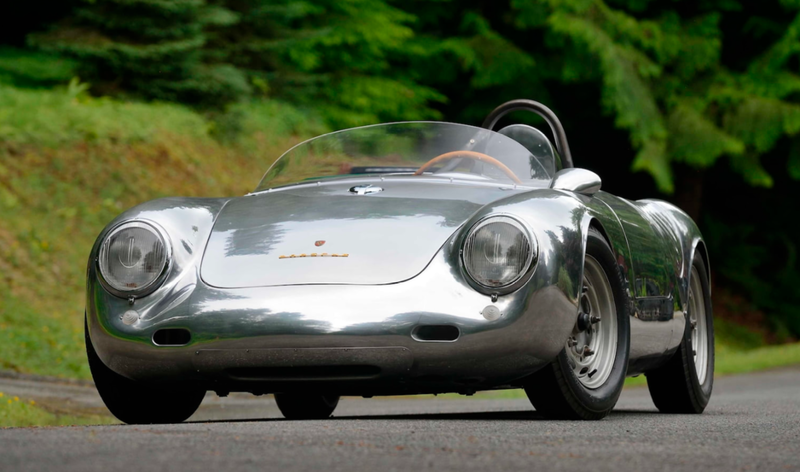 The 550 Spyder was a race car (that you could drive to the track) from Porsche that was available from 1953 through 1956. 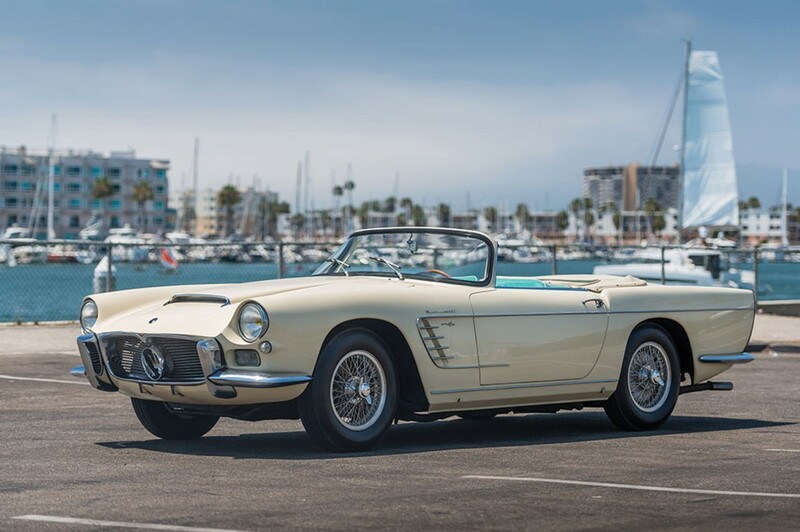 The 550A was an evolution of the original car and was only available in 1956. The differences included a tubular space frame (as opposed to the normal 550 Spyder’s ladder frame). This increased rigidity and decreased weight. The transmission got an extra gear (up to five) and the wheels lost an inch in diameter. The improvements were designed to increase the car’s competitiveness on track. The 1.5-liter flat-four was a carryover, but made 135 horsepower in this trim. 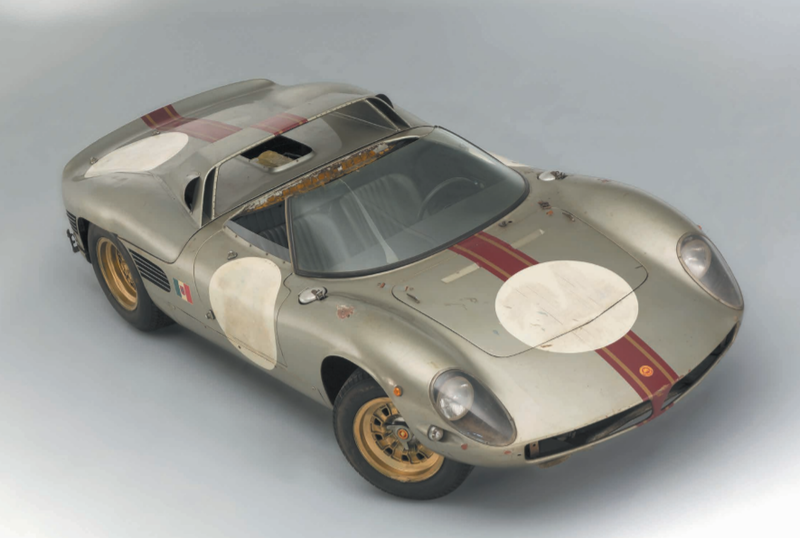 This car is thought to have originally been owned by the Piech family (they who own 10% of Porsche today) before being sold to its first owner: a famed Austrian concert pianist and composer. And he raced the pants off this car, winning circuit races and hillclimbs in the late 1950s in Austria and Yugoslavia. 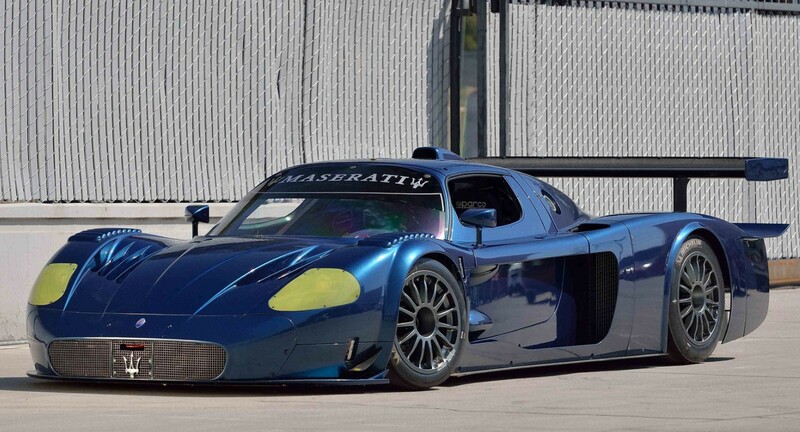 After that it went to the U.S. and spent a lot of time in SCCA races. 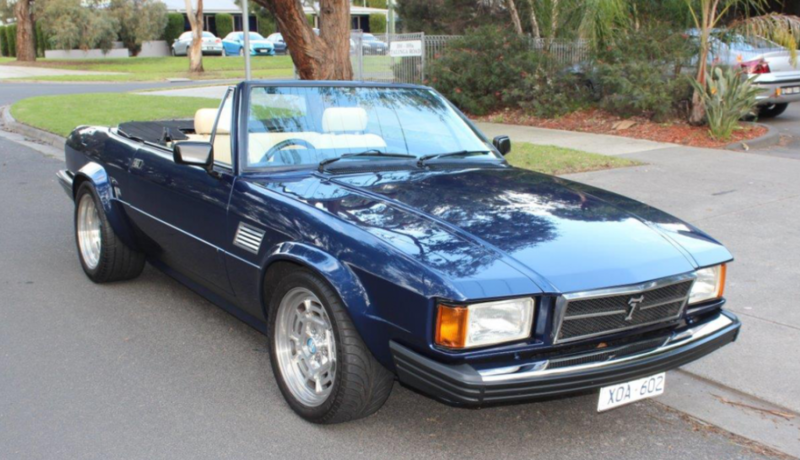 The current owner found the car over 30 years ago and spent most of the time since restoring it. It shows fewer than 600 miles since restoration. 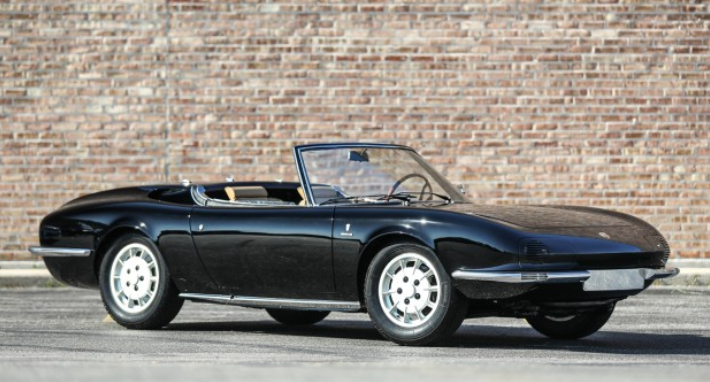 Only 39 examples of the lightweight 550A were built, making this a big money car at Mecum in Monterey. Click here for more info and here for more from this sale. There are four “Nembo” Ferrari Spyders (though one might be a coupe) and Nembo refers to two men: Giorgio Neri, Luciano Bonacini, Italians based in Modena with their own car shop. 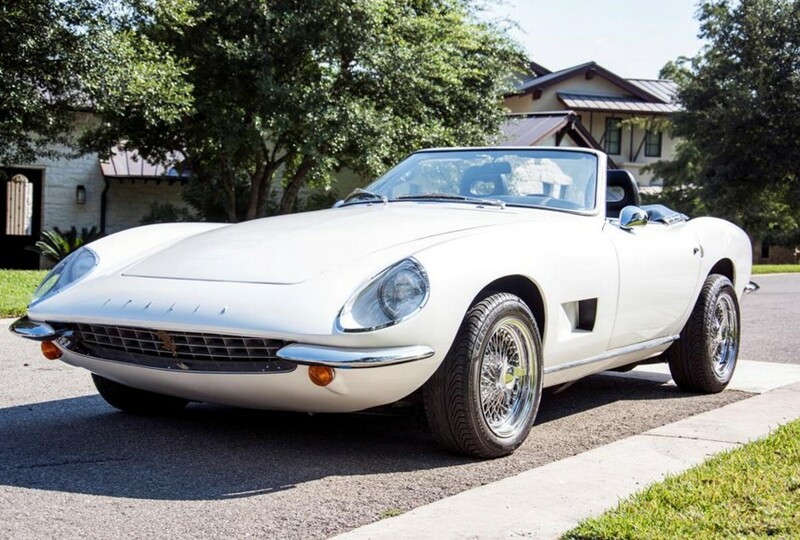 In the 1960s they started doing one-off Ferraris and it is thought that one of their early 250 GT-based Nembo Spyders was the basis for the design of the 275 NART Spyder, which this car sort of resembles. The first three Nembo Spyders were all unique. This car, the fourth and final, wasn’t commissioned until the 1980s. 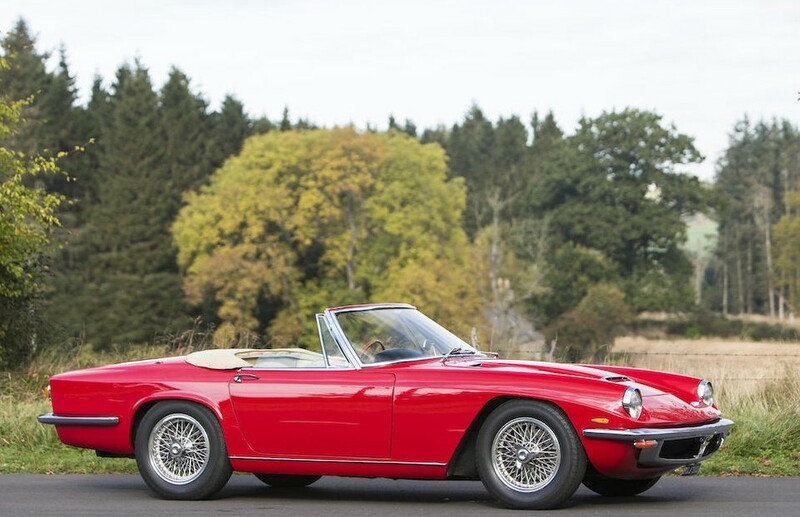 A British collector wanted it made and the car was to be based around a 1964 330 GT 2+2. That means under the hood lies a 4.0-liter V-12 that makes 300 horsepower. 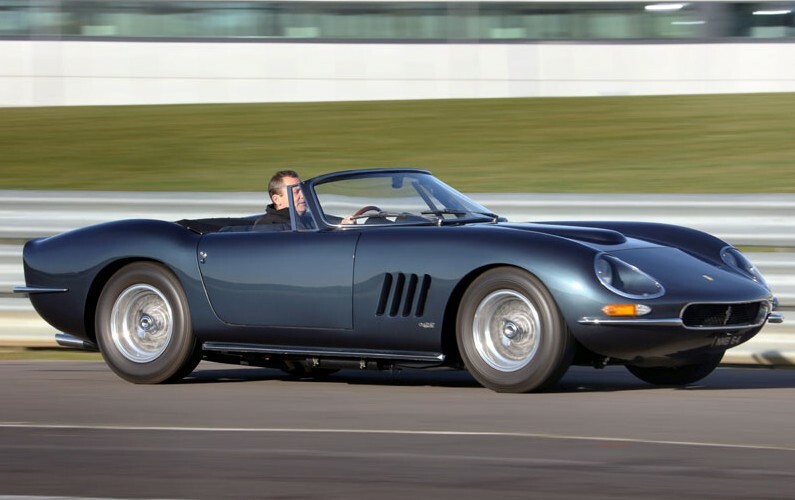 The wheelbase was also shortened at the time of construction, giving it a racier look than the four-seater 330 GT would’ve had. 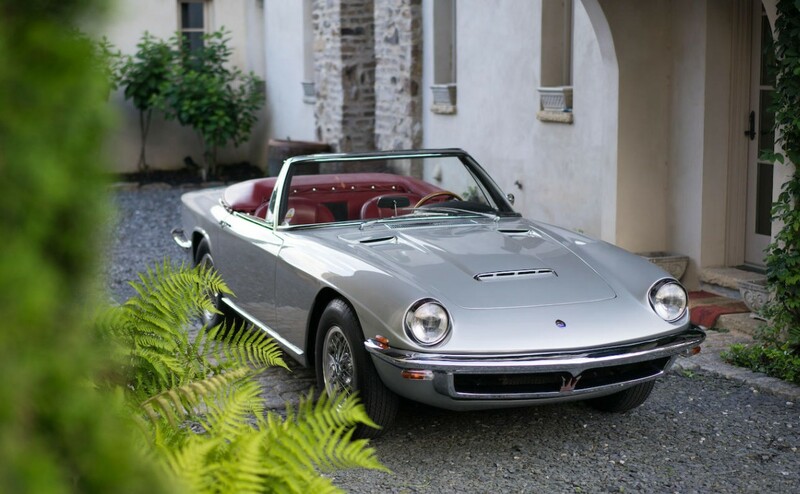 It is noted that all four of the Nembo Spyders (of which, this is the only one with a 4.0-liter V-12 and the only one in RHD) are ineligible for Ferrari Classiche certification because they are all technically re-bodied cars. It’s obviously very rare and quite attractive. 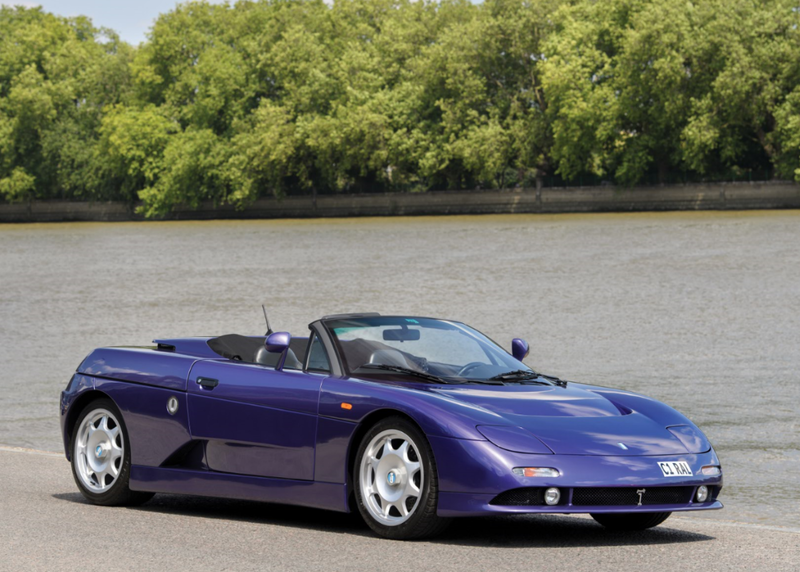 It will be interesting to see what it brings at auction, but it is being sold at no reserve and the proceeds will benefit an air ambulance service. You can read more about it here and see more cars from H&H Classics here. At this rate, we will have featured the entire Intermeccanica range in no time. Before they turned to replicas in the mid-1970s, they built a couple of different models. 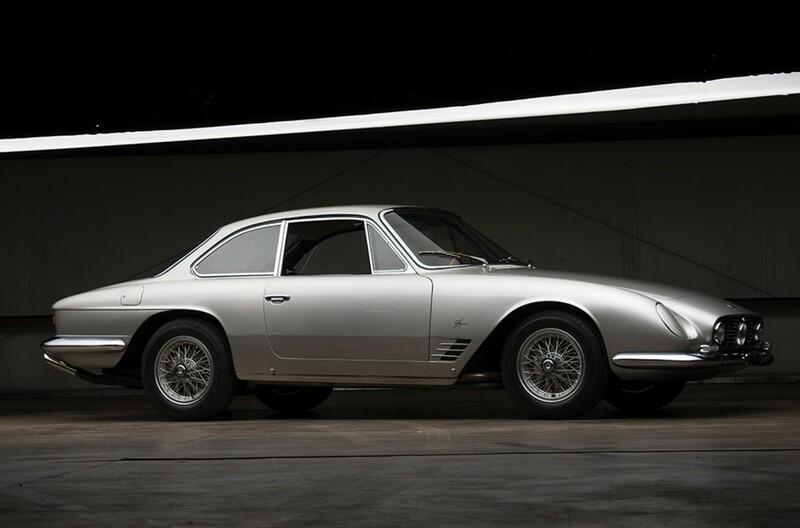 We’ve featured three Intermeccanicas in the past, including another Italia – the coupe version. This is the convertible version. 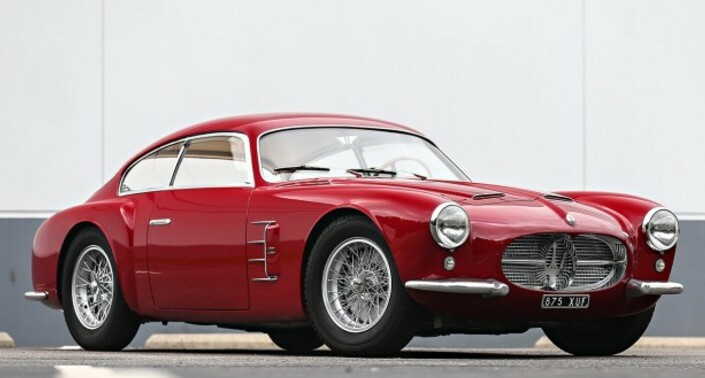 The Italia (which was the re-named Torino), is powered by a 310 horsepower 5.8-liter Ford V-8. This is a 40,000 mile car that looks great (except for those cheesy knock-off wire wheels). It has been recently restored. 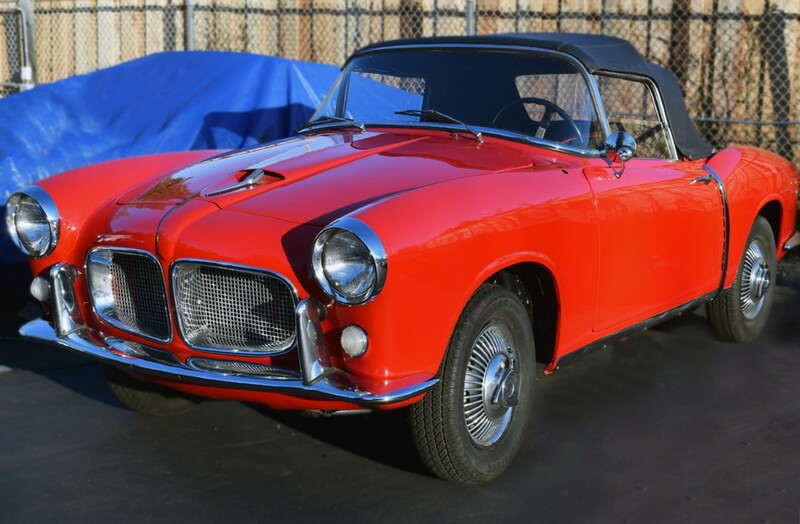 Less than 400 Italias were built and only 56 of those were coupes, which makes the convertible a little more common, but still quite rare. This one should bring between $110,000-$125,000. Click here for more info and here for the rest of Motostalgia’s sale.